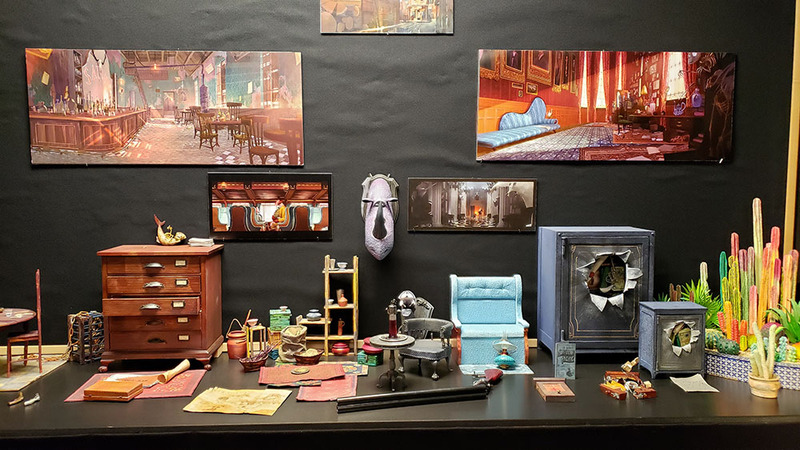 Laika has created some truly beautiful stop-motion animated films like Coraline and Kubo and the Two Strings, and the studio is currently gearing up for the release of its next film, Missing Link. 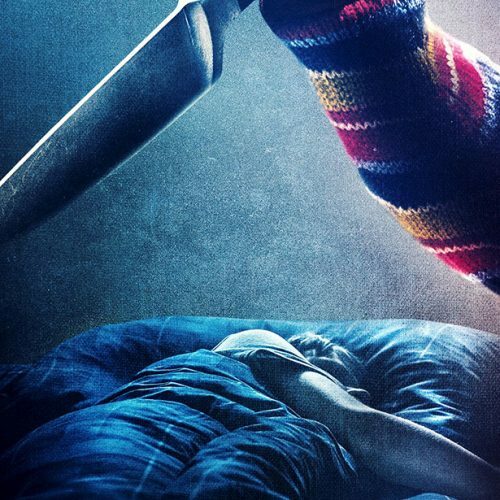 It follows the adventures of a man who tries to help a legendary creature across the world to find a place he can call home. 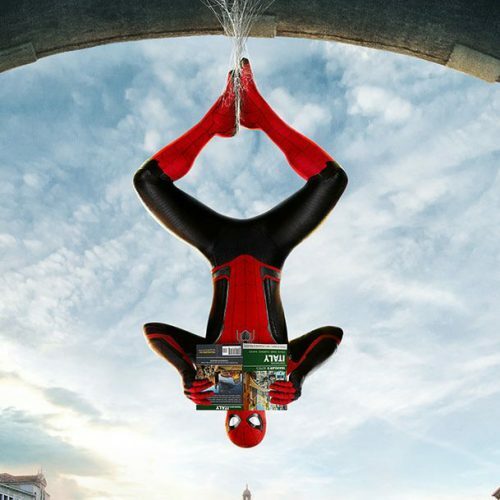 Hugh Jackman stars as the voice of Sir Lionel Frost, Zoe Saldana as Adelina Fortnight, and Zach Galifianakis as Mr. Link/Susan. 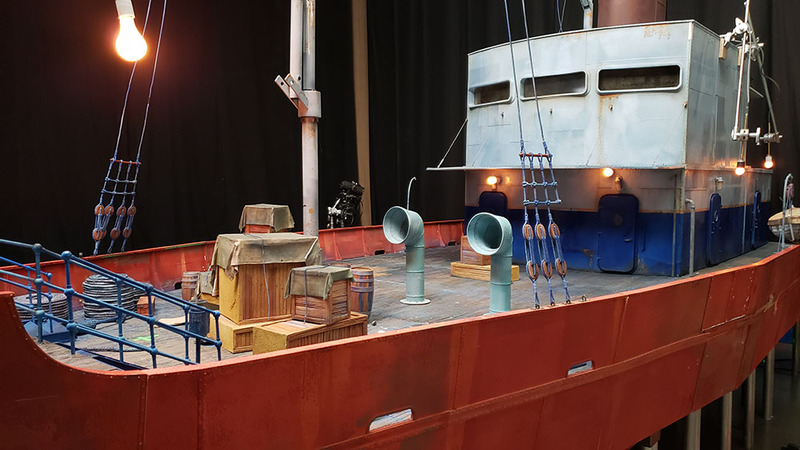 Nerd Reactor was invited to check out the film’s set at Laika in Oregon to see how it was all created. 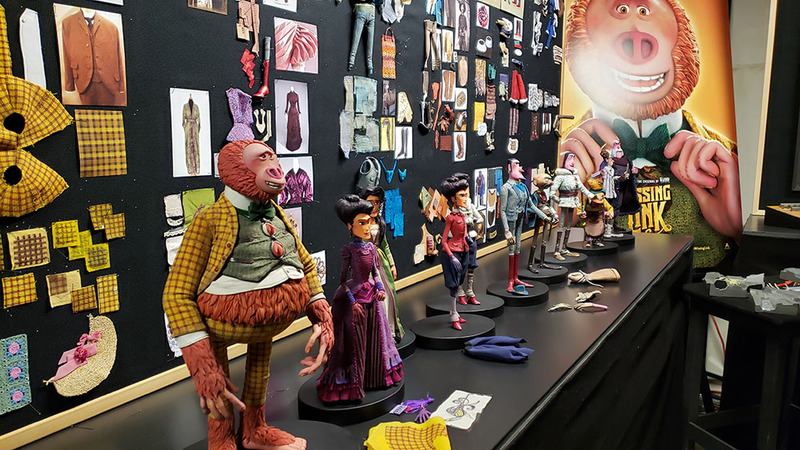 There’s something to be said about Laika keeping the magic of stop-motion animation alive while also using the latest 3D printing technology to produce better colors. The Missing Link characters are brought to life by puppets, and it’s kind of like posing GI Joe or Barbie figures. 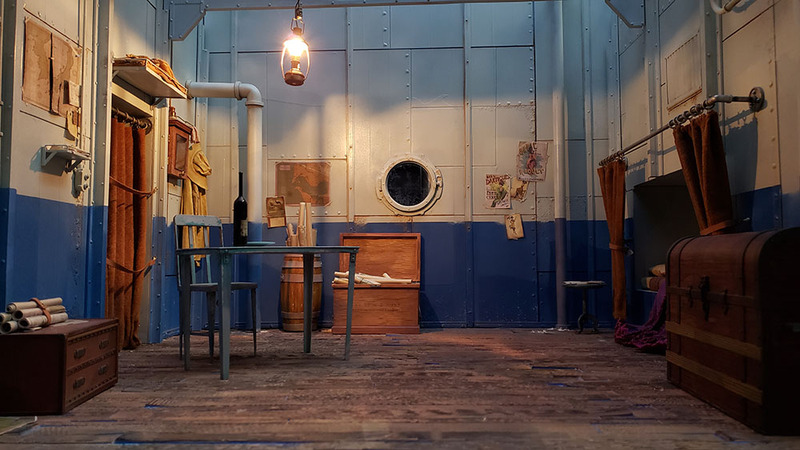 The puppet department covers 20,000 square feet on the second floor of the studio and can accommodate up to 100-plus fabrication artists including jewelers, engineers, illustrators, hairdressers, textile experts, and more. The puppets start from 2D designs and then gets the 3D treatment with a concept sculptor. The design maquette gives the team an idea of the character’s personality and a sense of scale and dimension. After that, they dig into the design to see how they can create a performance out of the puppet. For example, Link’s avocado body and limbs should still allow for total function and movement. The process from 2D concept to a puppet that’s ready for the stage is around nine months. It may sound like a long time, but the puppets are very complex, and an armature can have 250+ components. 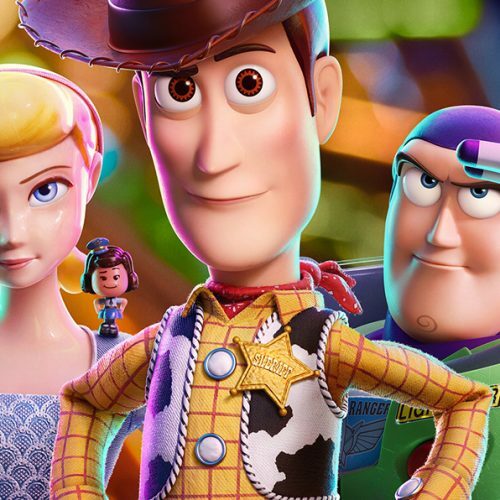 When animating a character’s face with traditional stop motion, an artist would have to sculpt a new face for each frame of animation. 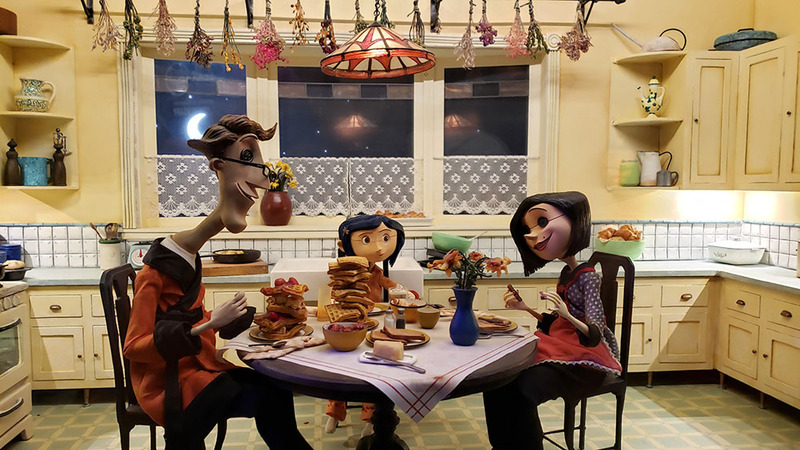 Laika employs a different technique called rapid prototyping that uses 3D printers to create new faces ever since it was utilized in Coraline. To animate the face, the animator would pop out a face and switch it with another face. 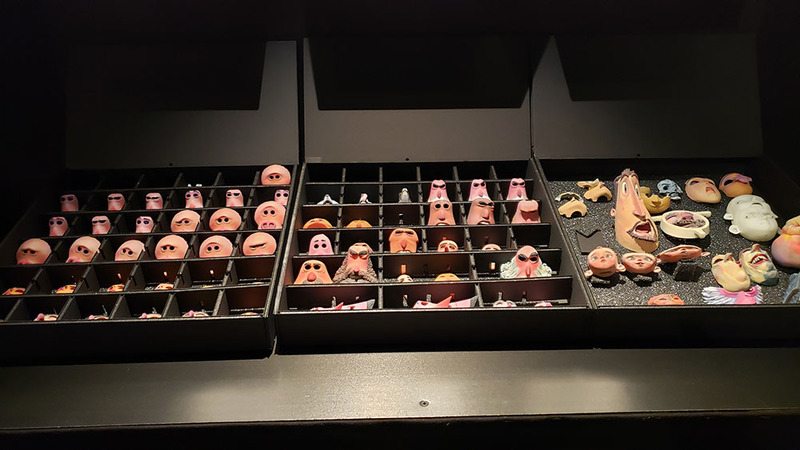 These faces are held on by magnets, and the animator would have a lot of facial expressions to pick from inside a box. 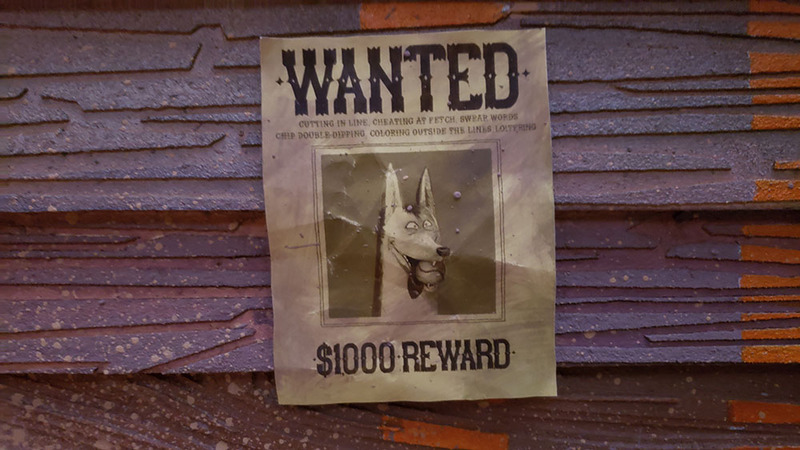 For Missing Link, Laika printed over 106,000 different facial expressions. That’s a lot compared to Coraline, where it only printed 20,000 for the entirety of that film. It takes 6 months or more to engineer the components inside the head for a Missing Link character. 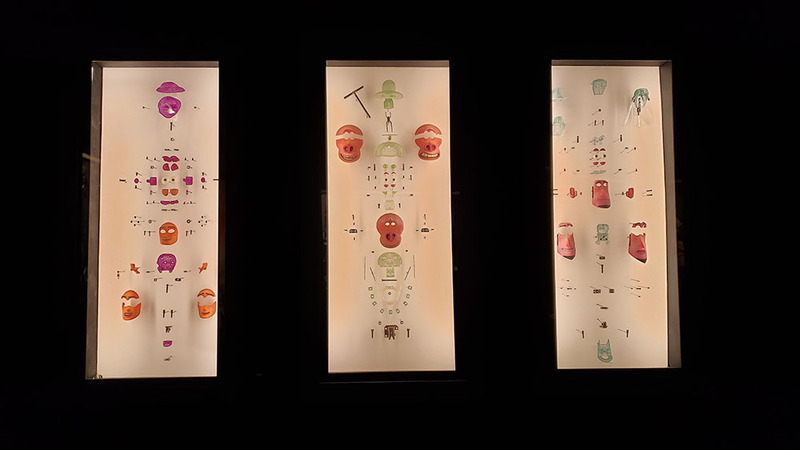 The exploded view (as seen above) gives you an idea on what goes inside a puppet’s head, with some having up to 70 pieces. 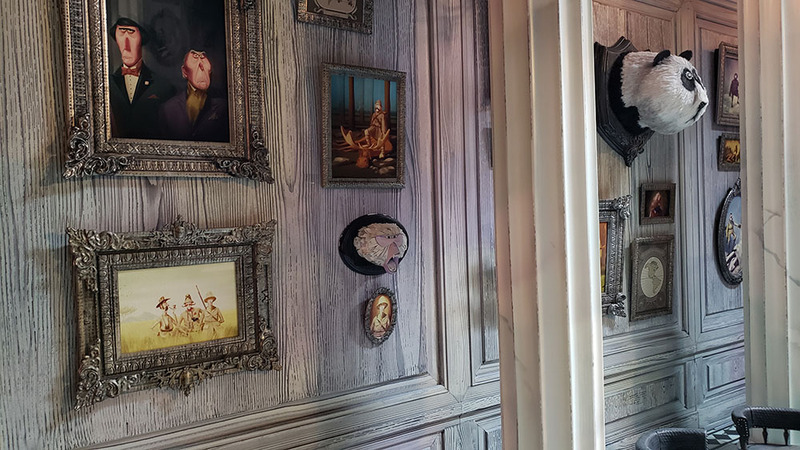 In Coraline, the faces had to be hand-painted, which is definitely time-consuming. The teeth were also tough since, at the time, they wanted to create separate ones similar to dentures. So that meant they had to paint them and then glue them in the back individually. 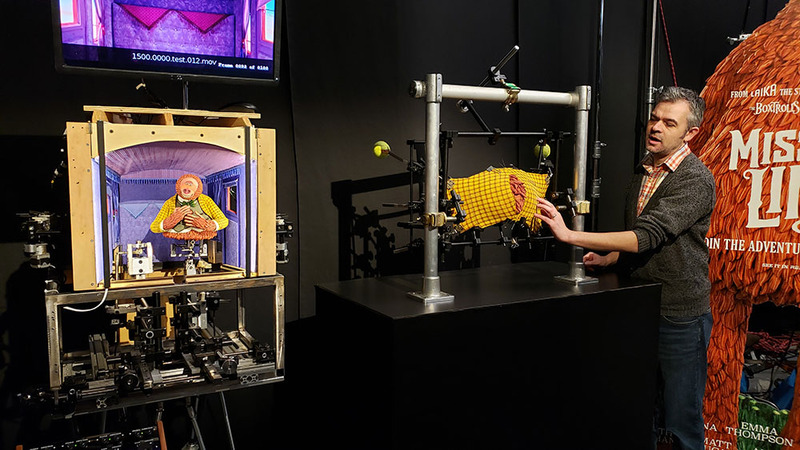 Laika then started using the ZPrinter 650 for ParaNorman, and at the time, it was the one and only 3D color printing technology on the market. 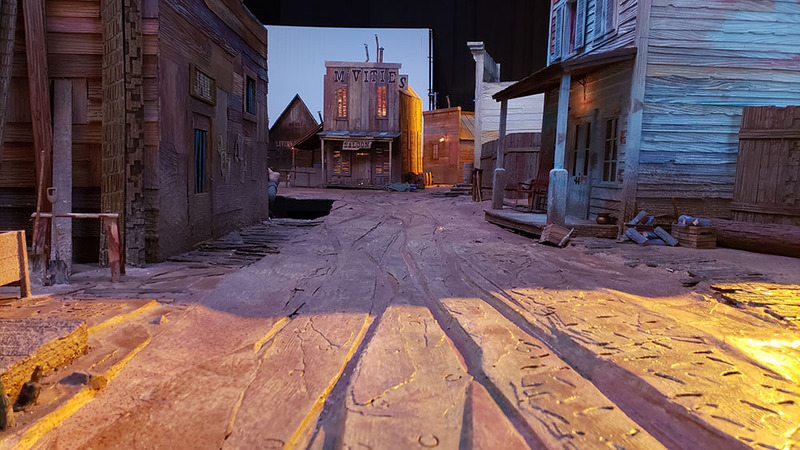 It was also used in Boxtrolls and Kubo and the Two Strings. 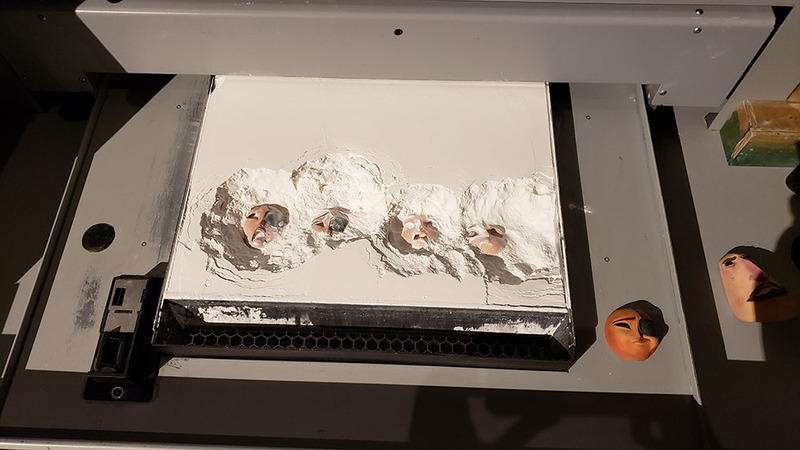 The machine prints on powder or plaster and sprays colored glue on the faces and uses a combination of cyan, yellow, magenta, black and white (or clear). The process is very delicate since it feels like chalk, and you have to be very careful like a paleontologist dusting off dinosaur bones. After lifting the face off of the machine, the team would have to sand it and make it smooth while also being careful not to tap a nose, or else it would break off. It is then dipped in super glue to harden it. 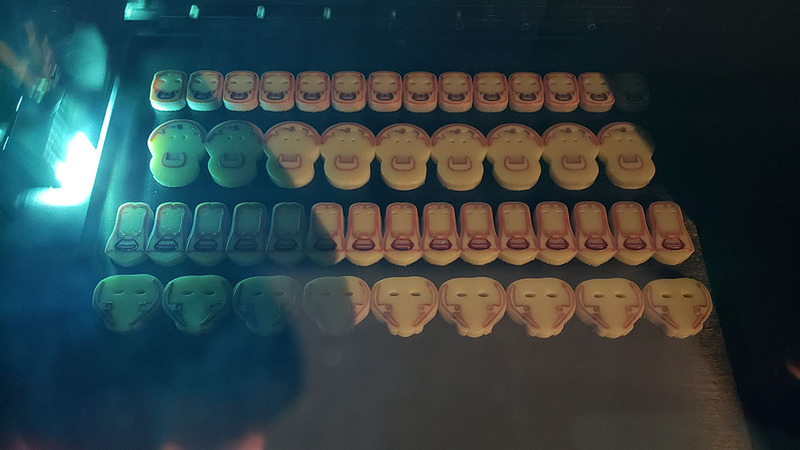 Thanks to the new technology of the full-color resin 3D printer, Laika was able to bypass the ZPrinter 650 since handling the faces were too delicate. Dealing with pointy noses would be tough on characters like Missing Link’s Sir Lionel Frost and Adelina. The Stratasys J750 changes the game with mixing color. 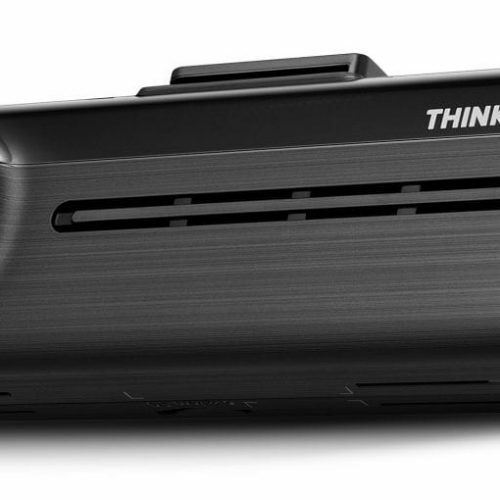 With the ZPrinter 650, it’s like using a 2D inkjet printer. With the resin printer, you can now include white as a fifth color, and the colors aren’t actually mixing together. The solid droplets of raw colors are placed next to each other to form a pattern (18 million voxels in a cubic centimeter). When you zoom out enough, it tricks your brain into thinking the colors are mixed. These droplets are so small that you’ll need an electron microscope to see the actual raw colors. For more complicated sequences, Laika employs the rigging technique. These are scenes that help the animators create subtle, finite performances. 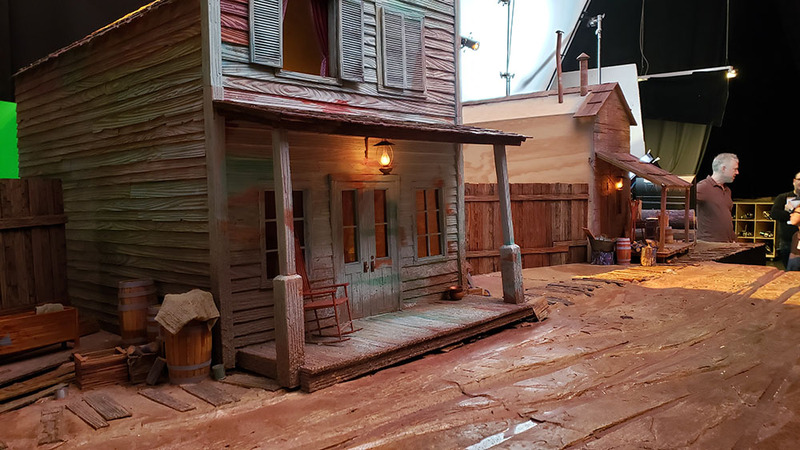 For example, a scene with characters inside a carriage would involve rigging to help simulate rocking back and forth and curtains swaying left and right. It can also help with creating funny moments like Mr. Link splitting his pants. Rigging is also used for poses that are hard to move due to their clothing. As seen above, there are mechanisms that will allow the movement of legs inside clothing. 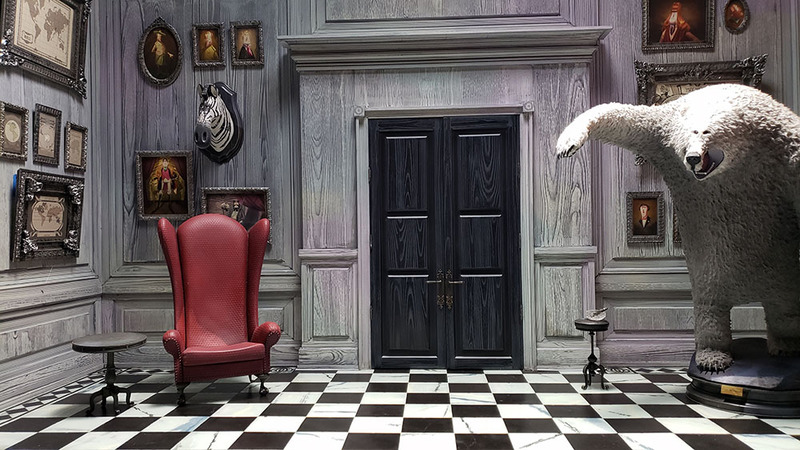 The puppets need to interact in front of a background, and that’s where the production designers come in. 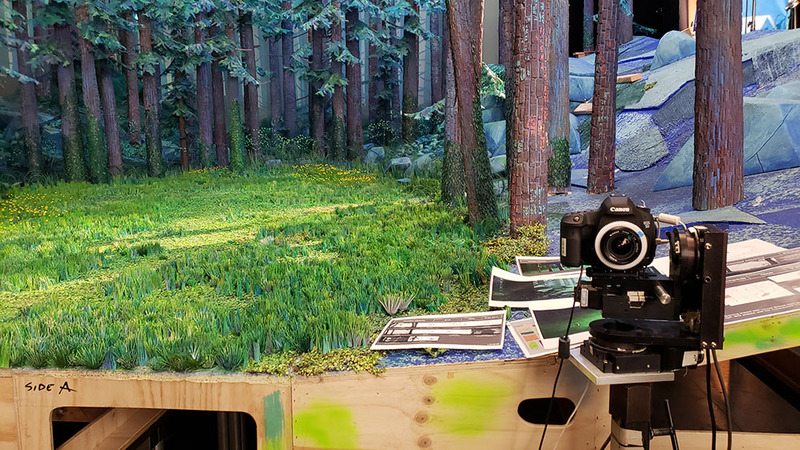 These sets from Missing Link are huge and serve to help push the story. 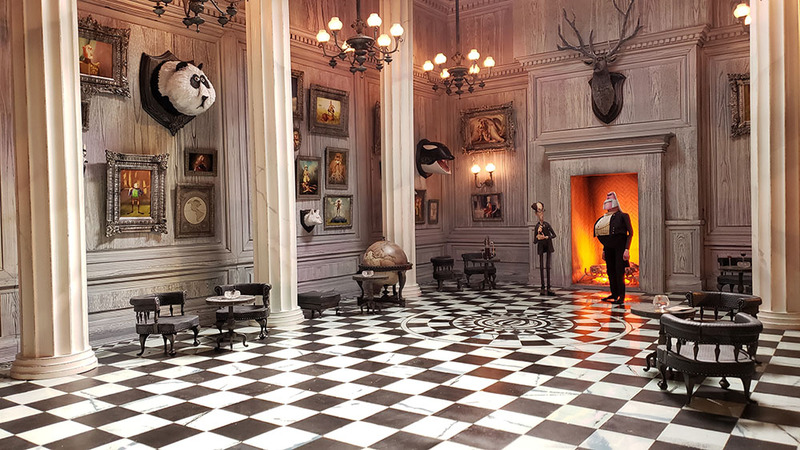 From the black and white room from the Gentlemen’s Club to the woods in the Northwest coast, you really get a sense of the mood and atmosphere. 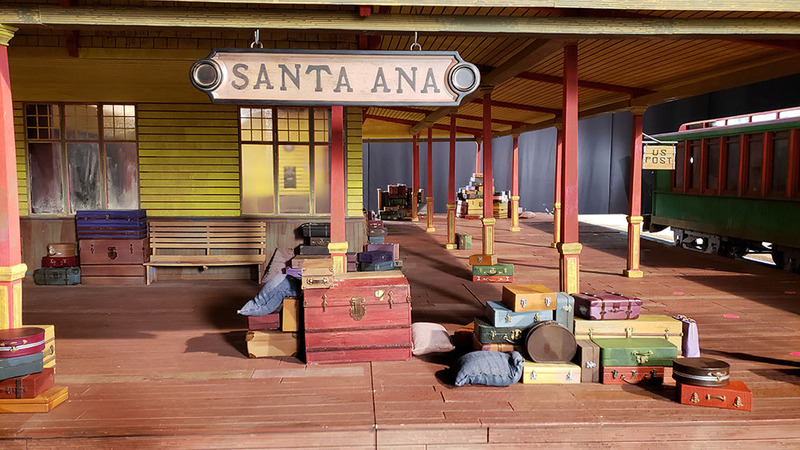 The sets are also a great place for the team to add a lot of fun Easter eggs. 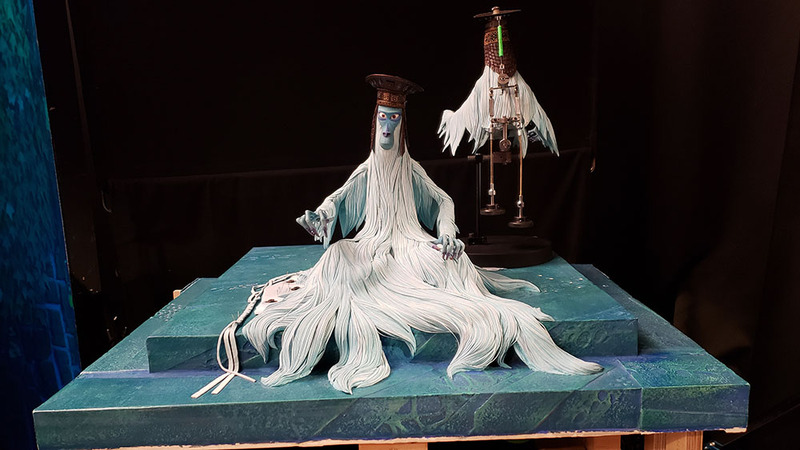 Above you can see poor Monkey from Kubo and the Two Strings being turned into a trophy head. Even though the sets aren’t actual size, they are still massive. 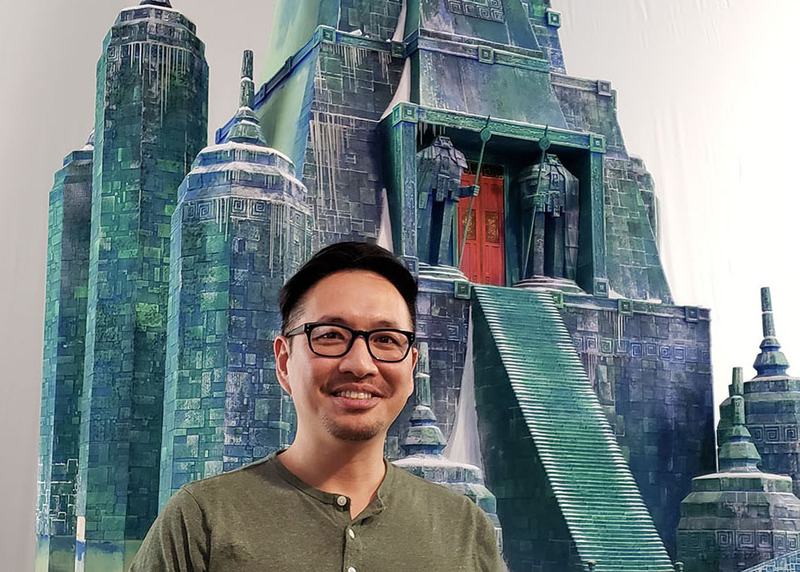 Here’s a photo of yours truly standing in front of the Shangri-La set. 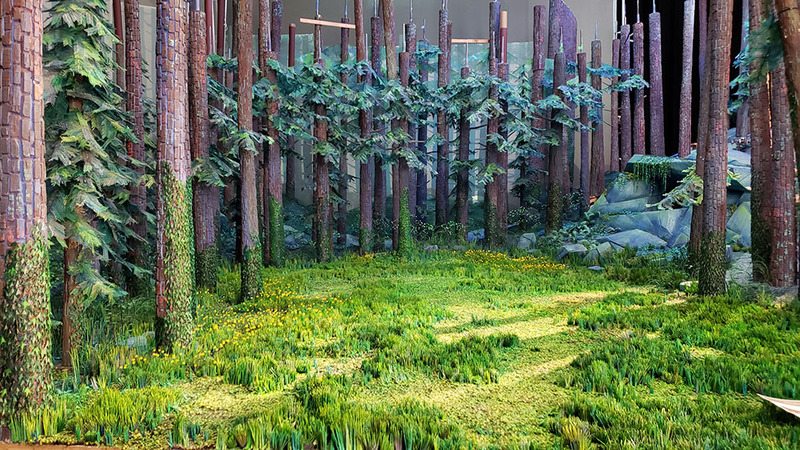 Missing Link has bold colors, and the forest definitely shows off the lush green. 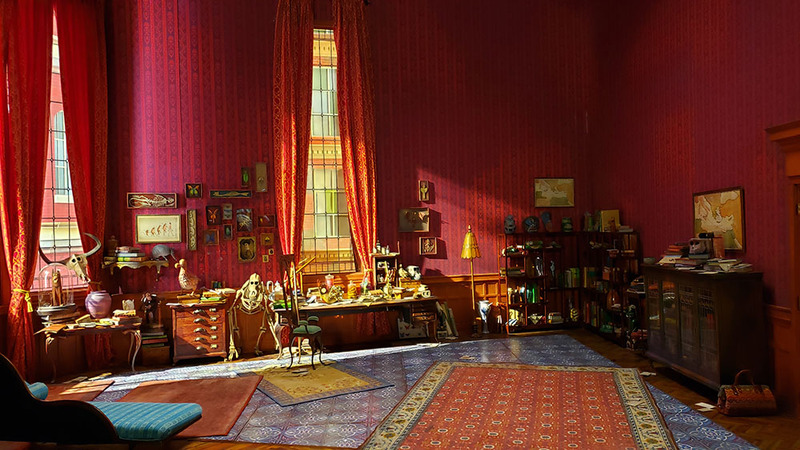 As as you can see in the photo, Laika shoots the film in RAW 4K using the Canon 5D. 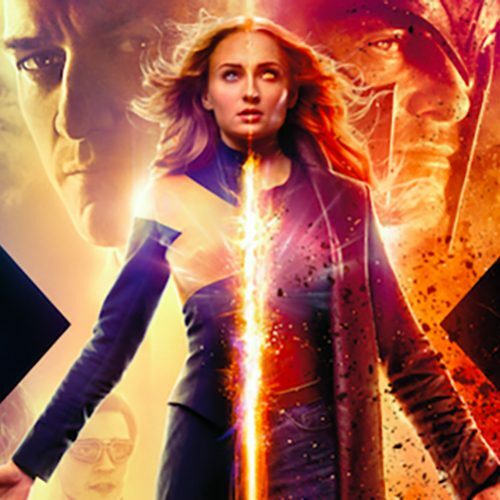 It’s a very efficient way for the team to shoot since they can send it to the different departments quickly and not worry about waiting to develop a film if they used film photography. If the camera breaks, they can always go to the nearest Best Buy to purchase more. 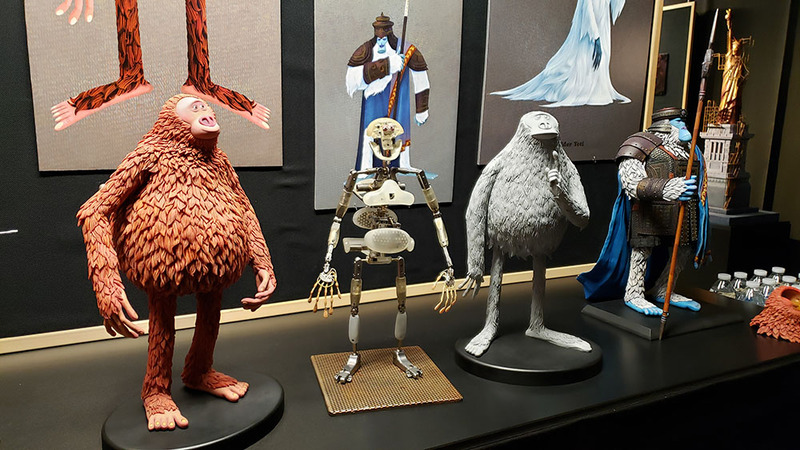 Laika is definitely pushing the boundaries on visuals and stop-motion animation, and Missing Link is looking to be an adventurous and fun film that takes viewers all around the world from the Western town of Santa Ana to the cold world of Shangri-La.